Lamb Development Corp Set to Launch World Class High-Rise This Year! I have been taking a close look at the city of Hamilton for the last 6 years. I have always seen it as a city ripe with opportunity in its core. Except for Toronto, it has Southern Ontario’s most urban city centre. 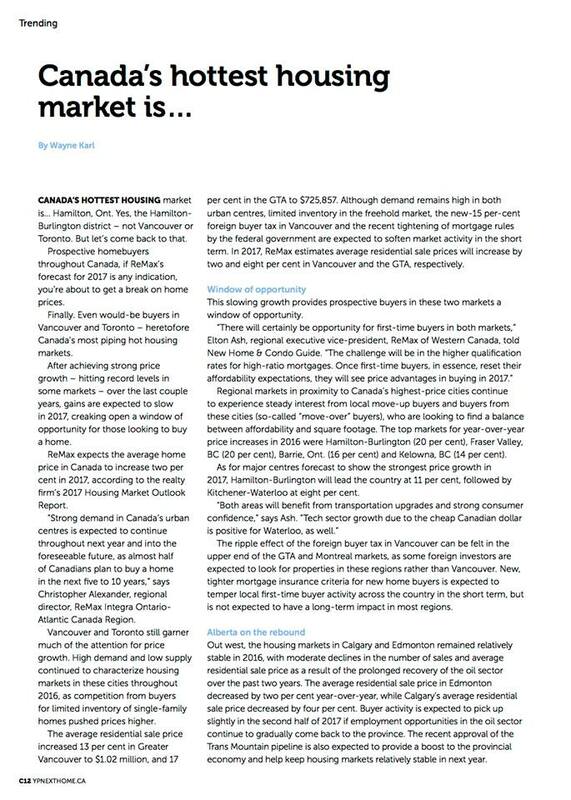 I revisited Hamilton one year ago and concluded that it now represents the best real estate opportunity in Canada. House prices have doubled over the last 5 years. Last year, prices increased by 20% in Hamilton. This makes Hamilton the city in Canada with the largest year over year increase in average home prices for 2016. Also last year, the new West Harbour Go Train Station opened for service. Hamilton is now 50 minutes away from Toronto by commute with an amazing central facility. Downtown Hamilton will be serviced by an LRT line. The population increased by almost 15,000 people over 2016, but that is just the start. Millennials of every stripe have found out about Hamilton. The city’s cool factor is shooting up very quickly. New condos, hotels and retail projects are being announced monthly. Hamilton currently has a population of 775,000 people. It will hit 1.0M by 2030. It is a city on fire. At completed Toronto Lamb Development Corp. projects we are now seeing resale prices at $750-$1100 PSF. Typically we are averaging $850 PSF or more at Glas, Parc, Theatre Park, King Charlotte and The Brant Park. Realizing this, Lamb Development Corp. has purchased four amazing downtown Hamilton condominium sites. We will be offering Hamilton amazing Lamb Development Corp. product very soon. Our first site to come to market is the former CHCH Television Studio. Located on one acre smack downtown at 163 Jackson St West. We are getting ready to launch the project in the fall of this year. “Television City” will offer the same amazing ‘Lamb Standards’, with spectacular architecture by Architects Alliance. We will be doing all this at 35% lower prices than our Toronto projects. Rents in Hamilton are now just 20% lower than Toronto. You can see the opportunity! Register for Television City at www.TelevisionCity.ca. For more, visit Price boom spreading beyond Greater Toronto Area: CMHC.